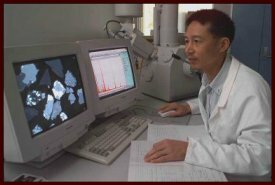 There was sad news reported this week (MEI Online), of the death of Dr. Ying Gu, the creator of the Mineral Liberation Analyser (MLA), which for many years was the competitor to CSIRO's QEM*SEM (later QEMSCAN). These were the forerunners of the modern automated mineral analysers which have played such an important role in how the minerals industry has adapted to the challenges of increasingly complex ore bodies. Ying played a prominent role in five of MEI's mineralogy conferences, and he spent nearly 20 years with Australia's JKMRC and JKTech, responsible both for the MLA development, sales and support, and latterly made important contributions to the technology of X-ray tomography for mineral texture analysis. 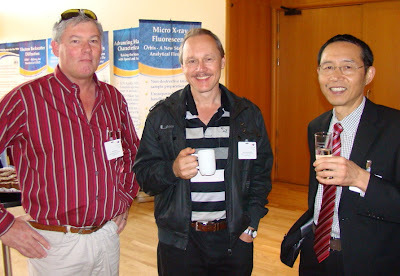 He was President of the International Congress for Applied Mineralogy (ICAM) from 2008-2011. Ying was a true pioneer of automated mineralogy, who will be sorely missed. Our thoughts are with his wife Wenqin Li and two young daughters. This is indeed sad news. We lost a person who contributed to the basics of mineral engn. My sympathies to the family. May his soul rest in peace. I am deeply saddened. Ying was a fantastic person and amazingly talented. Ying's farewell was a very moving event and a reminder of how many lives his brilliant career and loving nature has touched. Ying presented me personally with many great opportunities and for that, I am very grateful. My sincere condolences to his family. RIP Ying, you have earned it.